Here's a recommendation from one of my pals in Germany. In spite of all the craziness going on in the world, you have to admit that the fact that someone in Germany can discover a band in NYC, and then tell their friend over there to go check them out, is a pretty wonderful thing. 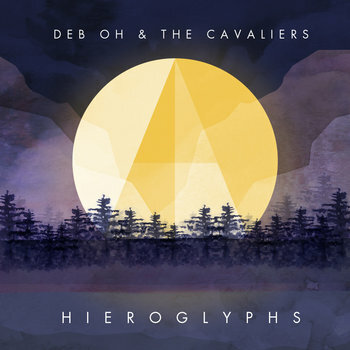 Deb Oh and the Cavaliers is about as polished-sounding as I prefer to get, but their style is what'll grab your attention. The Cavaliers have a forceful groove, combining soul and electronic pop. It's a unique combination. Even if you hate it, you have to give them points for their confidence and originality.